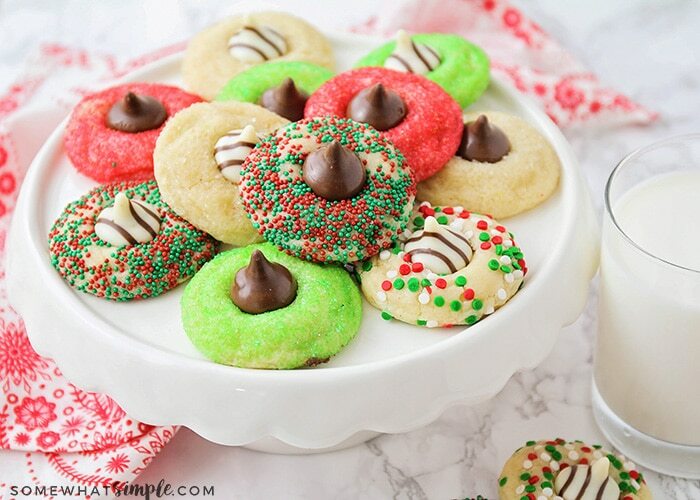 These Christmas blossom cookies are a fun and delicious way to spread some holiday cheer! In our home, the holiday season is baking season. 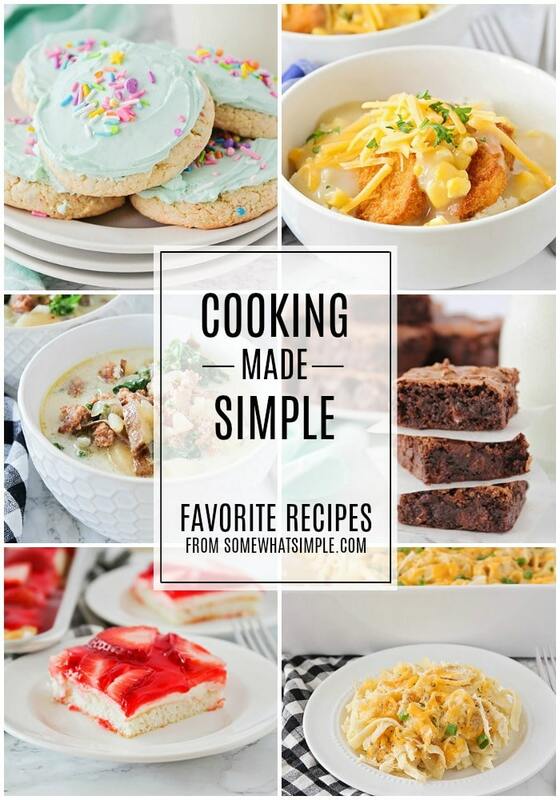 I love all of the fun twists on classic recipes you can make during this time of year – Candy Cane Chocolate Fudge, Shortbread Christmas Tree Cookies, Waffle Cone Christmas Trees and more! 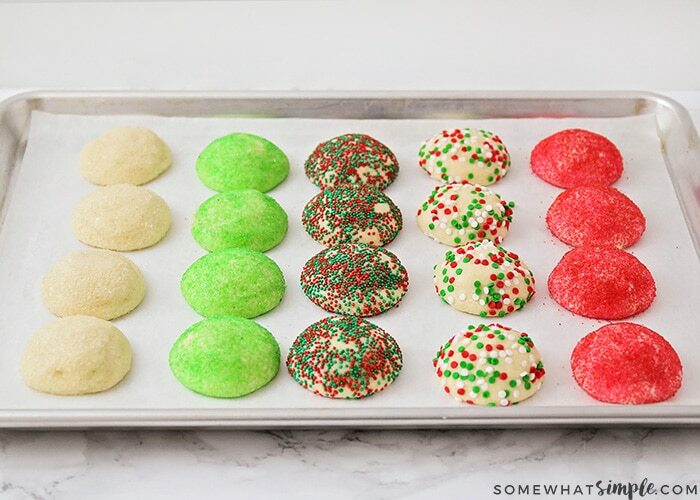 These Christmas Blossom Cookies are a fun way to get into the holiday spirit! 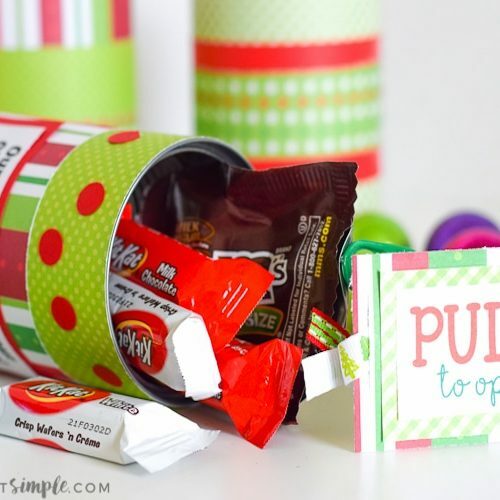 They are bright and colorful, and super easy to make! I’m not sure what bug bit me this holiday season, but I am baking more this year than ever before! Yesterday the kids and I were in the mood for some cookies, but I wasn’t in the mood to go to the store, so we were limited in making something that we already had the ingredients for. I needed something easy, but something the kids could have fun with. 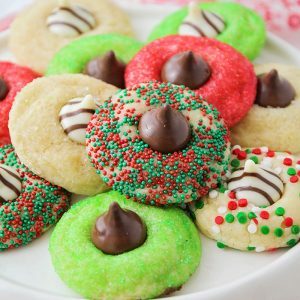 These Christmas Blossom Cookies were perfect – nothing fancy, but they are simple, they are festive and they are delicious! 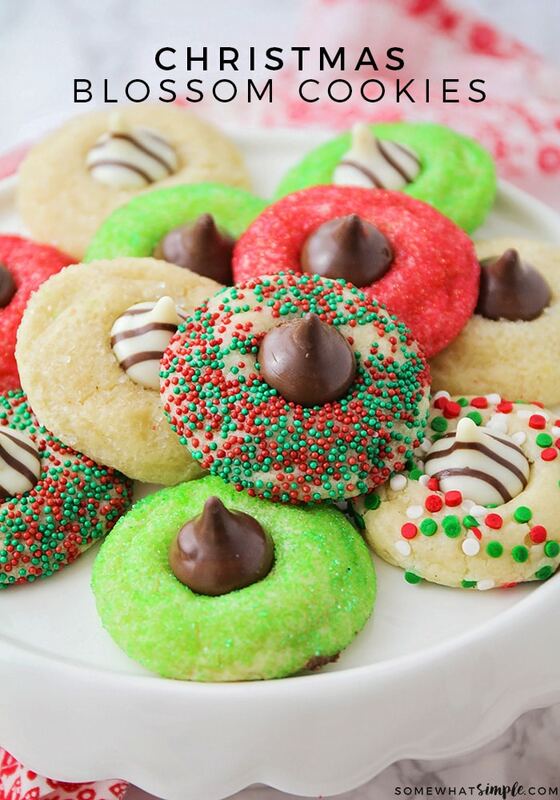 You can make your own sugar cookie dough, or buy some store-bought dough (no judging here!) If using store-bought, I prefer using the Betty Crocker Sugar Cookie Mix that comes in a bag – it just tastes the best to me. If you’re looking for a homemade version, here is my favorite homemade Sugar Cookies. Blossom cookies are actually really easy to make. First, prepare your dough. 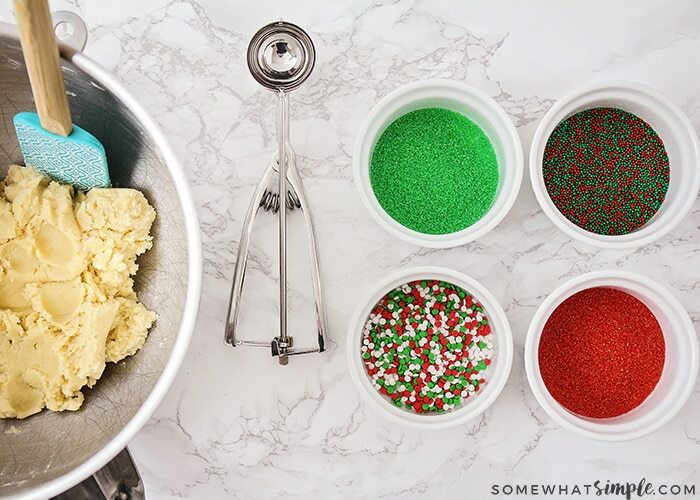 Then, roll your dough into festive sprinkles or colored sugars. Bake according to package or recipe directions. ingredients called for on cookie mix pouch. In medium bowl, make dough as directed on pouch. 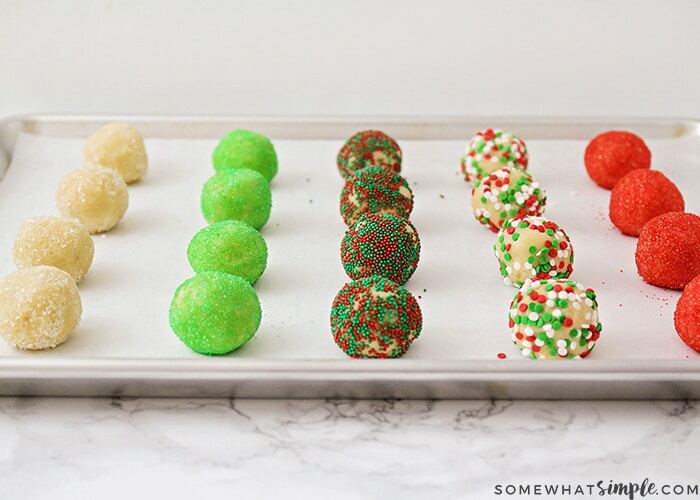 Shape dough into 1-inch balls; roll in colored sugar. Place 2 inches apart on ungreased cookie sheets. Bake 8 to 10 minutes or until light golden brown. 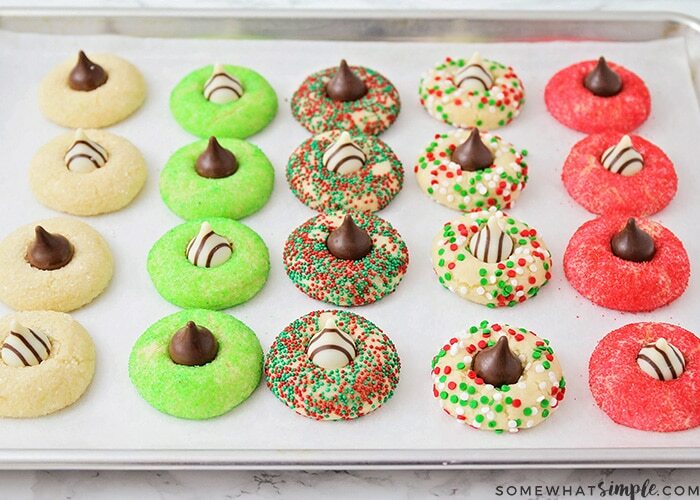 Immediately press candy kisses in center of each cookie. 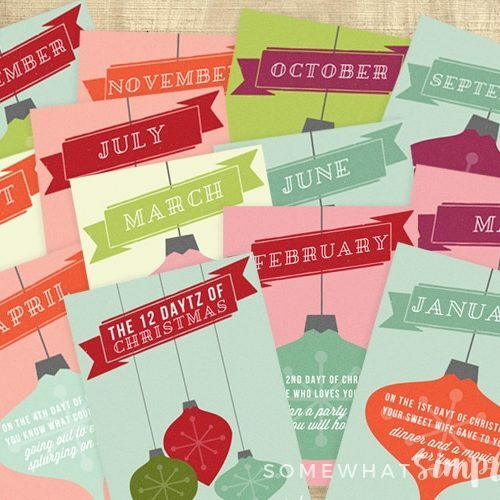 Remove from cookie sheets. Cool completely, about 20 minutes. 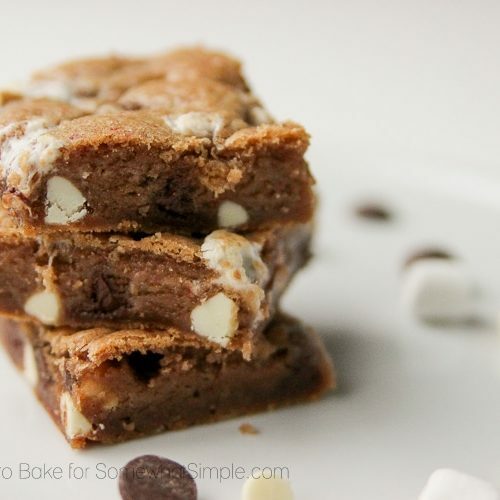 Serve with some hot cocoa and enjoy! *To make colored sugar, add 2 drops of food coloring to 3 tbsp of sugar and mix with a spoon until the color is evenly distributed. Add more sugar or food coloring to get the desired color.